With summer well underway, everyone I know seems to be headed to a tropical destination or chic European city. What’s a traveler to do when a two-week trip isn’t in the budget or you don’t have that much time off work? I satisfy my wanderlust by planning fun, affordable weekend getaways. Luckily I’m well located in the Mid-Atlantic region, where historic cities and beautiful countryside abound. Here are my top picks for quick trips. No matter how many school field trips one has been on, the appeal of D.C. just never gets old. There are eleven free Smithsonian Institutes, the renovations on the National Mall are finally done, and the cobblestone streets of Georgetown are an Instagram lover’s dream. 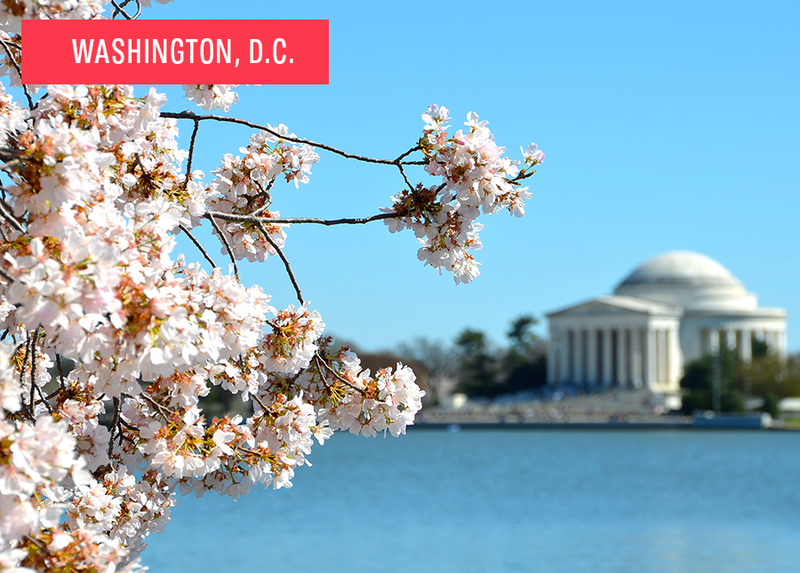 Much of D.C. caters to business travelers, so affordable weekend getaways can actually be pretty doable with special deals to fill hotels. The city has walkable streets, a great public transit system, and all the Memorial Parks are open 24 hours. Check out more here. My current hometown! 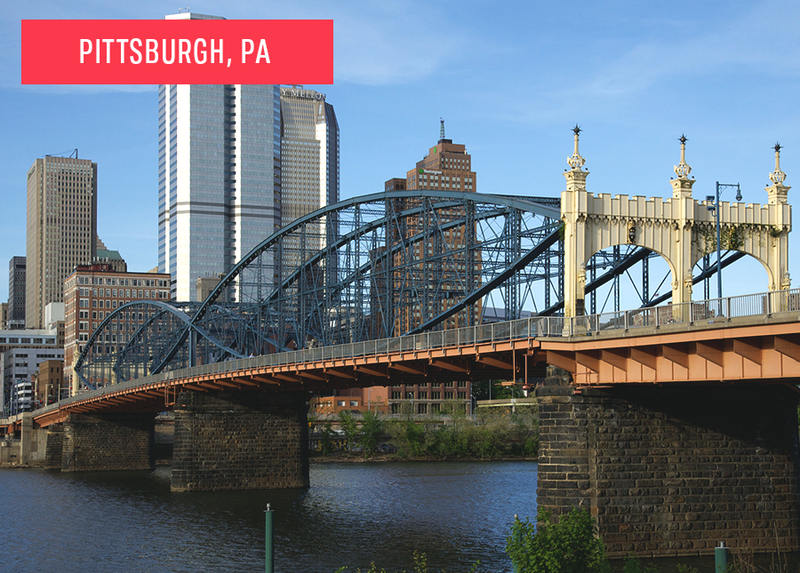 The secret is out — Pittsburgh is experiencing a transformation from its grimy past as a polluted steel town to a hipster haven that’s in the running for Amazon’s second headquarters. There are three professional sports teams, two beautiful free parks in the city limits alone, and a burgeoning craft beer scene, all undergirded by a very affordable cost of living–and visiting. Check it out here. 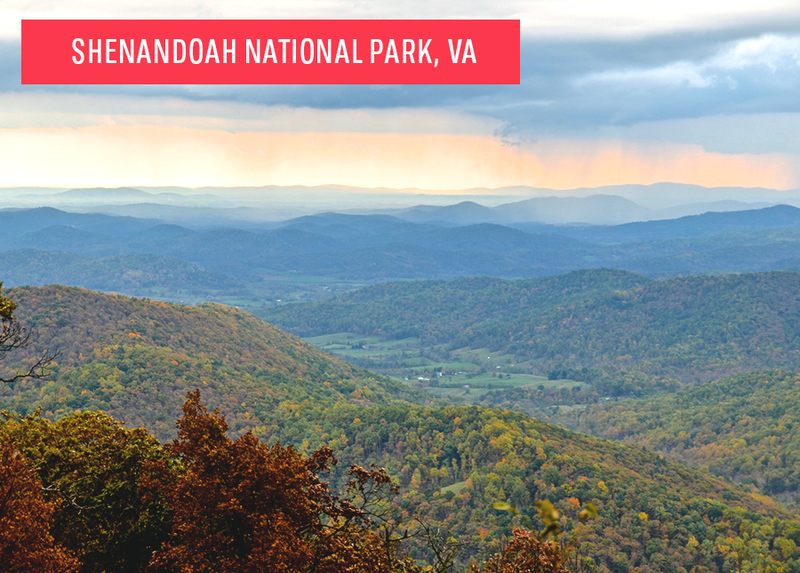 If the great outdoors is calling to you, a visit to Shenandoah National Park should be on your list. Whether you’re into camping, glamping, or staying in a hotel suite, there are accommodation options for every style and budget. The list of possible activities spans the seasons; from hiking to horseback riding, there are plenty of things to keep you busy that don’t involve spending much money. And if all you want to do is sit outside under a tree and read a book or soak your feet in a waterfall, Shenandoah is the place to be. Read more about visiting here. 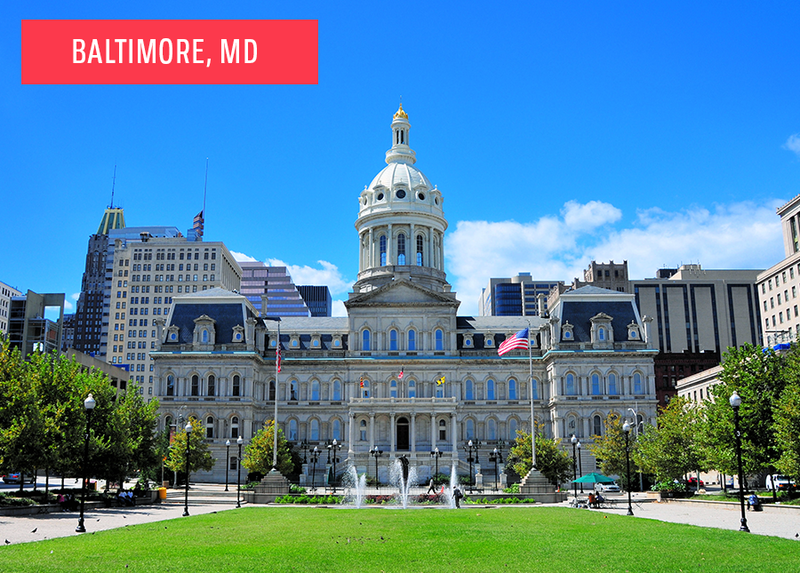 Baltimore might not immediately come to mind as a tourist destination unless you’re really into The Wire, but don’t dismiss it just yet. A walk around the historic waterfront won’t cost you a thing, and neither will getting your culture fix at the Baltimore Museum of Art or the Walters Art Museum — both are free to visit. If you’re a history buff you can climb to the top of the Washington Monument for under $10. Do a bit of research on the city’s best seafood and cheap happy hours and a trip to Baltimore won’t break the bank — read about it here. 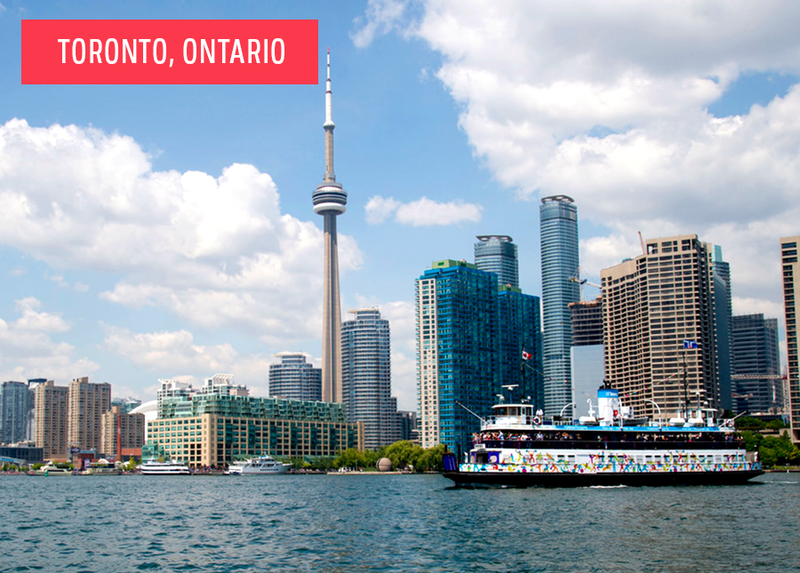 While not in the U.S., Toronto should still be on your list for affordable weekend getaways, especially if you go in the fall or winter. Sure, you’ll want to bundle up, but that will be true of anywhere in the mid-Atlantic or northeast. Warm up with a stroll through the St. Lawrence Market and have you an urban picnic. If you’re interested in craft beer, reserve a spot on a free brewery tour at Steamwhistle, or just meander down the cobblestone streets of the historic Distillery District. Find more here. 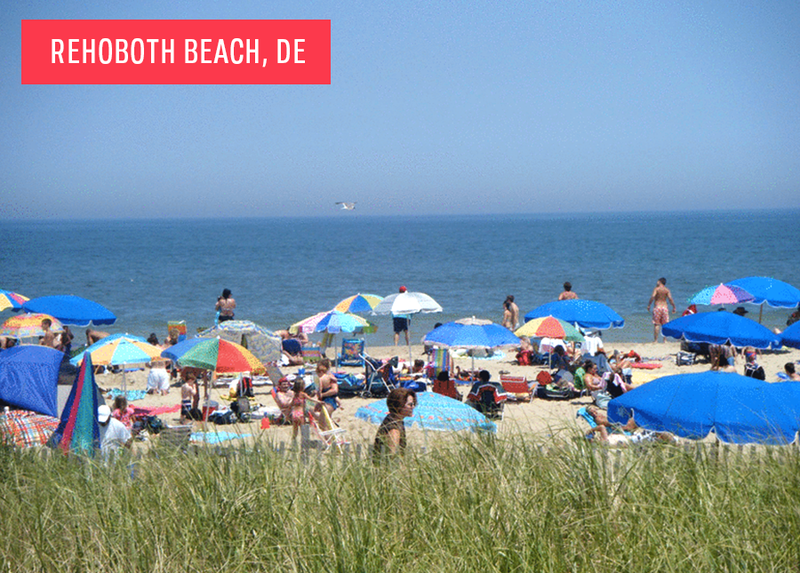 Great beaches abound up and down the east coast, but my choice for affordable weekend getaways in the summer is undoubtedly Rehoboth Beach. It has something for everyone, whether you’re looking for a couples escape or are taking a trip with kids, parents, or a big group of friends. If you’re adventurous consider camping in nearby Cape Henlopen State Park, and if you plan ahead and bring snacks from home you can enjoy the sun and fun all day without spending a dime — Dewey Beach and Rehoboth Beach are both free. Read more here. My elementary school research project on the Amish and has left me fascinated by this group ever since. 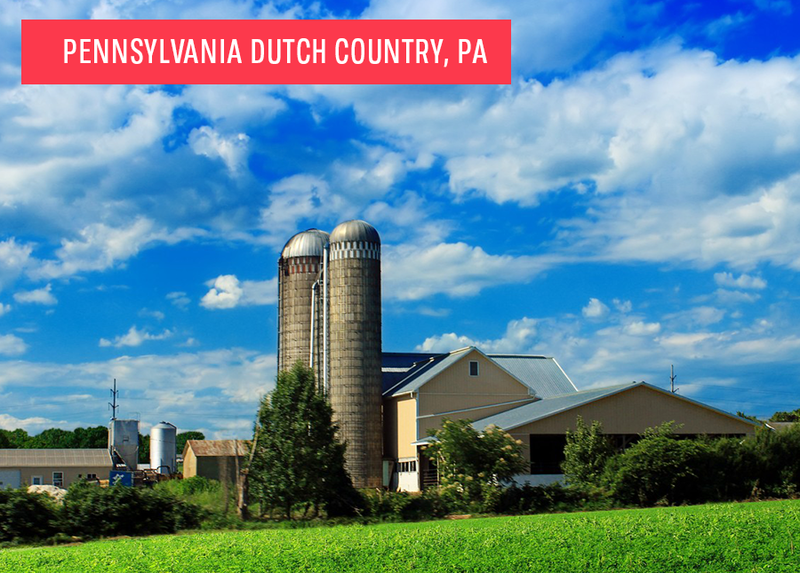 A visit to Lancaster County, PA, less than two hours outside Philadelphia, takes you decades back in time to a place without electricity or many modern marvels. Visit a working farm and see how the Amish live. If you’re as into early American history as I am, you can visit Hans Herr House and Eastern Woodland Longhouse both for less than an Andrew Jackson. Read more here. 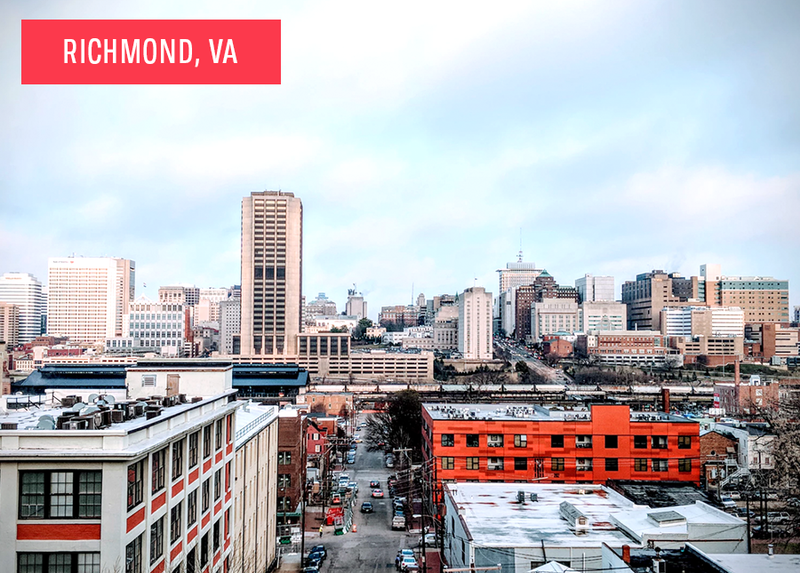 While there’s some debate as to whether Virginia is technically mid-Atlantic or Southeast, one thing that’s not up for debate is that the historic capital of Richmond is stunning. If you’re interested in early American history you can visit several important Revolutionary War sites all within the city limits. If all you want to do is wander down beautiful streets, make your way to Court End and stroll to your heart’s delight. With free summer concerts and beautiful parks, this destination doesn’t have to break the bank. Read an affordable city guide here. Before I moved to the Mid-Atlantic, I’d never given a second thought to West Virginia, but this stunner of a state should not be overlooked. 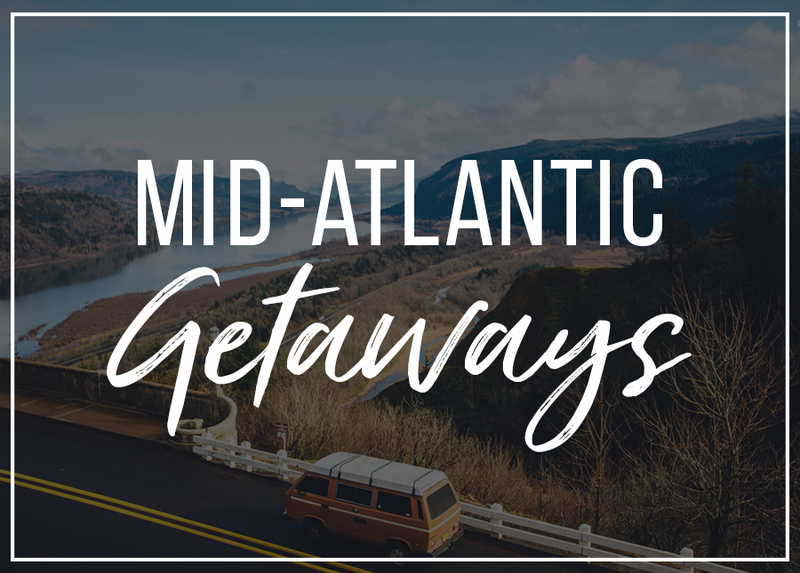 There aren’t many big cities in WV, which means that this is your destination for getting into the great outdoors — and some of the best opportunities for the most affordable weekend getaways. 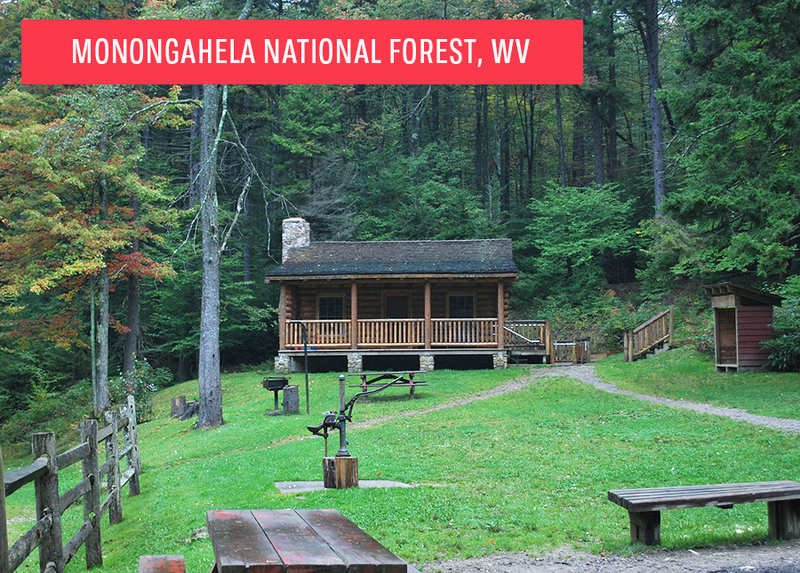 Monongahela National Forest is one of the most ecologically diverse areas in the entire United States but hosts only a little over a million visitors each year. If you’re looking to truly get away from it all, lace up your hiking boots and get outside in WV. Read more here. 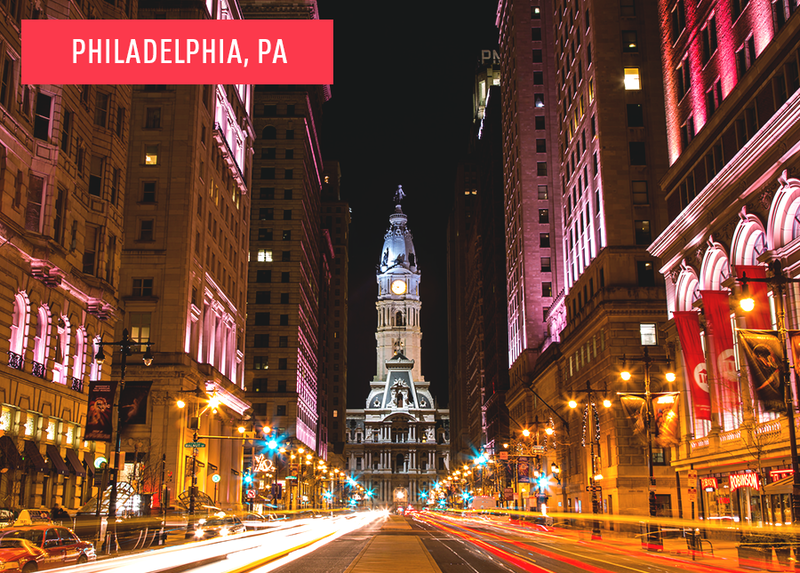 The ultimate destination for history buffs, Philly should be on your list for affordable weekend getaways even if you don’t have any desire to see the Liberty Bell or the first post office. Walking around the Center City neighborhood and hitting up Reading Terminal Market for a meal or two will fill up an entire day’s itinerary and leave you wanting more. Bonus points if you recreate the iconic scene from Rocky by running up the 72 steps to the entrance of the Philadelphia Museum of Art, which is “pay what you wish” the first Sunday of every month and each Wednesday evening. More here.